MONTREAL – Canada’s major telecom companies have been given the go-ahead by the Federal Court of Appeal to challenge part of the CRTC’s new wireless code of conduct that would affect three-year cellphone contracts retroactively. Rogers, Bell, Telus, SaskTel, Manitoba Telecom Services and others say a new CRTC code mandating that contracts run no more than two years would prematurely apply to three-year contracts signed before the new code comes into effect on Dec. 2. As a result, the wireless companies plan to challenge the ruling in court. They were granted permission to do so recently, but the ruling only came to light Thursday. The Canadian Radio-television and Telecommunications Commission has said its wireless code should apply to all contracts, no matter when they were entered into, by no later than June 3, 2015. But the telecom companies have said a number of three-year contracts won’t expire until after that deadline, potentially leaving them on the hook for part of the cost of customer smartphones, some of which can cost $700. “In effect, therefore, under the wireless code customers may terminate their wireless service contracts after two years without paying any cancellation fees,” the notice of appeal said. The wireless industry started switching customers to two-year contracts this summer and it’s unclear how many cellphone customers will be affected or what the financial impact on the telecom companies will be. The CRTC has said that, under the code, cellphone customers will be able to walk away from their contracts after two years without any early cancellation penalties. The regulator also ruled that early cancellation fees must not exceed the value of a device subsidy and that it must be gradually eliminated over 24 months. 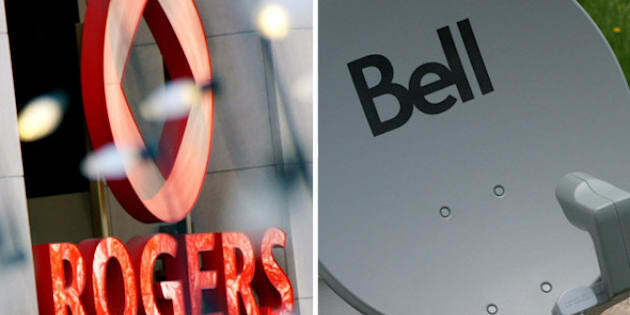 However, the telecom companies argued in court documents that the CRTC has no power to “engage in retrospective ruling making” and had exceeded its jurisdiction. “If the wireless code decision applies to all contracts by June 3, 2015, then it will apply retrospectively and interfere with vested rights,” the court documents said. Telus spokesman Shawn Hall said that while the Vancouver telecom company supports the wireless code, it disagrees with the “retroactive” aspect of it. The appeals court hasn’t set a date to hear the matter in Toronto. Under the wireless code introduced last spring, the CRTC is also capping extra data charges at $50 per month and international data roaming charges at $100 per month to avoid huge, surprise bills. The regulator will require providers to allow customers to unlock their devices after 90 days, or immediately if they pay the full cost of the device. Customers will also be allowed to return their cellphones within 15 days if they’re unhappy with their service and have the right to accept or decline any changes to two-year contracts. It’s also requiring companies to produce contracts that are easy to read and understand.